Outgoing Prime Minister Ahmet Davutoğlu called for an extraordinary congress on May 5, announcing that he would not run for the leadership. Elected as the AKP leader in August 2014, Davutoğlu left his position after a series of disagreements with Erdoğan, who is deemed to be the real leader of the AKP. 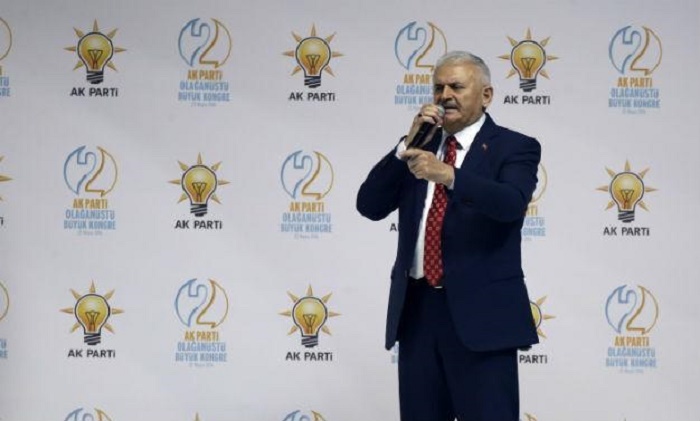 On May 19, the AKP announced Yıldırım as its candidate as the party’s third chairman. A mandate to form the new government will be given to Yıldırım immediately after his election as chairman. Some 6,000 invitations were sent to all ambassadors in Turkey except those of Egypt, Israel, Bangladesh, Syria and Russia, along with a number of non-governmental organizations, trade unions and political parties, with the exception of the Peoples’ Democratic Party (HDP). Yıldırım entered politics in the early 2000s as one of the founders of the AKP along with Erdoğan, Abdullah Gül, and Bülent Arınç. He joined the cabinet as the transport minister when the AKP rose to power in 2002 and served in three consecutive governments.